US President Donald Trump has made yet another step towards starting a conflict in the Middle East by recognising Israel's sovereignty over the Golan Heights, Faruk Logoglu, a former deputy foreign minister and ex-Turkish ambassador to the US, told Sputnik Turkey. "Trump's statement is a new link in the chain of his destructive steps aimed at destabilising the world order, which we have seen since the day Trump took office as president of the United States," Logoglu emphasised. "It contradicts Resolution 242 of the UN Security Council, and, more importantly, goes against the fundamental principle of international law, which calls for non-violation of the territorial integrity of a state through occupation. Thus, this initiative violates the decision of the UN Security Council and the norms of international law. It threatens to escalate tensions in the region". The former diplomat suggested that "when Syrian finally regains its strength, it will be able to give a decisive rebuff to Israel, if it takes steps [towards further escalation]", adding that Iran and some Arab countries would support Damascus. This means that Trump is adding fuel to the fire of a new potential conflict in the Middle East, Logoglu warned. According to the former Turkish official, the UN Security Council and the UN General Assembly should voice their clear condemnation of Trump's Golan Heights initiative. "If the United States resorts to their veto right, it is necessary to strongly oppose this decision", he stressed. Previously, on 24 March, Turkish President Recep Tayyip Erdogan announced that Turkey was going to take the Golan Heights issue to the UN, calling Washington's move a breach of international law. For his part, Foreign Minister Mevlut Cavusoglu tweeted on 21 March that "attempts by the US to legitimize Israel's actions against international law will only lead to more violence and pain in the region". He highlighted that Ankara supported Syria's territorial integrity. — Mevlüt Çavuşoğlu (@MevlutCavusoglu) 21 марта 2019 г. ​Commenting on the Turkish government's statements, Logoglu opined that it was time to launch a direct dialogue with Damascus. "Now is the right time to build relationships with Damascus," he said. "Turkey must in practice demonstrate its commitment to its statement about the territorial integrity of Syria by establishing a direct dialogue with the Syrian authorities." Huseyin Bagci, the chair of the international relations department at Ankara's Middle East Technical University, presumed that Trump was acting "like a bull in a china shop" by provoking new conflicts in the region including "frozen" ones. 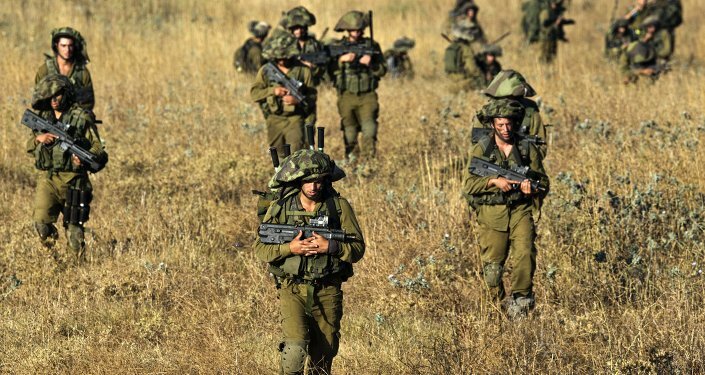 "If Trump is elected for the next presidential term, the situation will become even more dangerous, and it is possible that the Golan Heights will be considered as belonging to Israel", he warned. The academic referred to the fact that Trump came under heavy criticism from some international players for his Golan Heights move. When asked what measures could be taken to solve the dilemma, Bagci responded that "a military operation could have been carried out to force Israel into leave this region, but this would be fraught with risk of a new war". "There might be the situation similar to that during the 1967 [Six Day War] or 1973 [Yom Kippur War] conflicts", he suggested. "However, the League of Arab States does not have enough power today, and Russia will not come into conflict with Israel because of the Golan Heights. Thus, this issue will be discussed by international organisations, but this is unlikely to change the real balance of power on the ground". 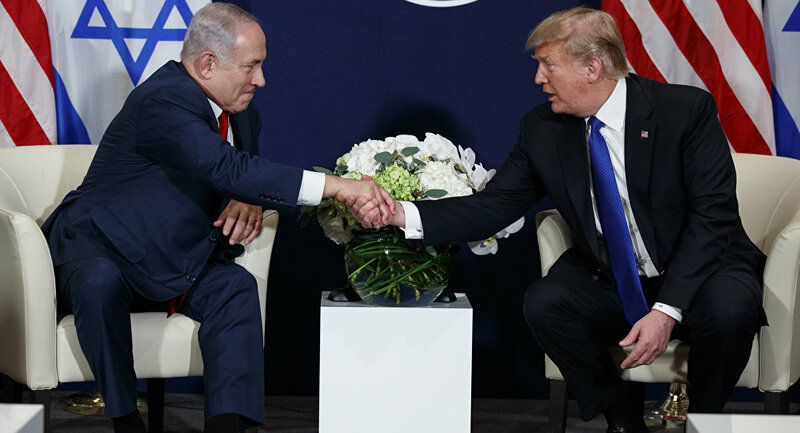 On 21 March, Donald Trump announced that Washington was going to recognise Israel's sovereignty over the Golan Heights seized by Israel from Syria during the 1967 Six Day War. The annexation was "legalised" by the Israeli parliament in 1981 by the adoption of the Golan Heights Law. In response, Russia, Turkey, numerous European and Middle East countries voiced their strong opposition to the US president's move. For its part, the UN highlighted that the status of the Golan Heights had not changed after US Donald Trump's call to recognise it as Israeli territory. On 25 March, Trump met with Israeli Prime Minister Benjamin Netanyahu and formally sealed his decision in a presidential proclamation.